The ruins of Castle Otway stand on a hill on the outskirts of Templederry (near Nenagh, Eire), dominating the countryside for miles around. 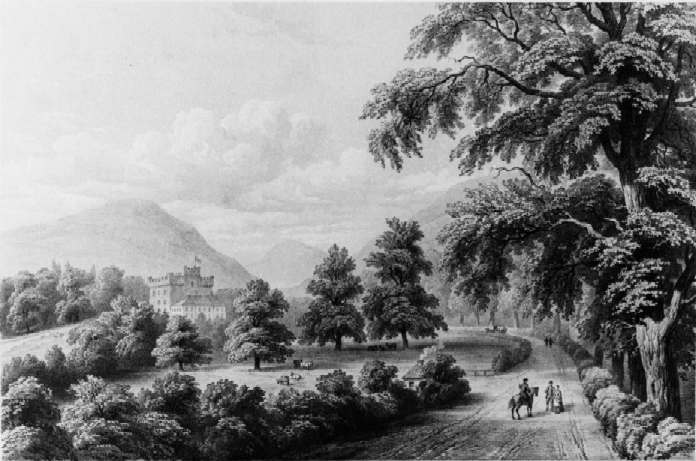 It is said that the Castle was originally a monastery. The original fortified building is a square keep, with an overall height of approximately fifty feet. There is no evidence of outer defenses. Onto the front of the original keep was built a Manor House, probably dating from the Queen Anne period (1665-1714). In its day this would have been a magnificent house. Attached to the rear of the keep are a range of outbuildings and stables. 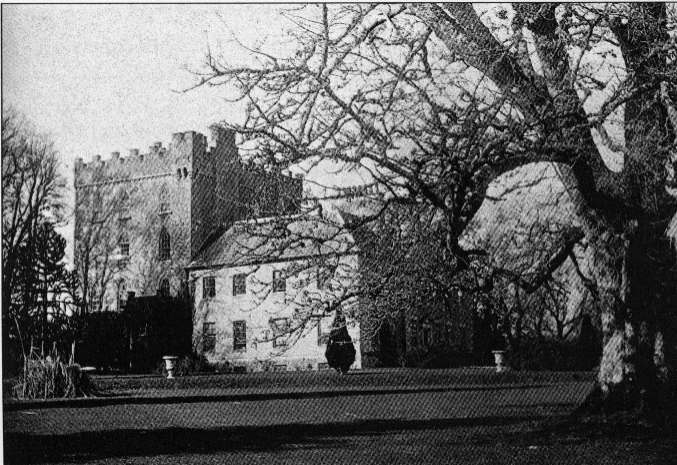 The Castle and house were gutted by a fire in 1922. There were three stories as to the cause of the fire. Firstly, that it was an accident in the kitchens, secondly that the Sinn Fein caused it, and thirdly, most favoured by the villagers of Templederry, that it was caused mysteriously. There are claims of haunting. However, the burning by Sinn Fein is almost certainly the true version. When visited in 1969, nature had largely taken over, the undergrowth inexorably dragging the building to the ground. The outline and form of once magnificent gardens were visible, including a superb cedar tree. The land is now owned by a local farmer and used for grazing. 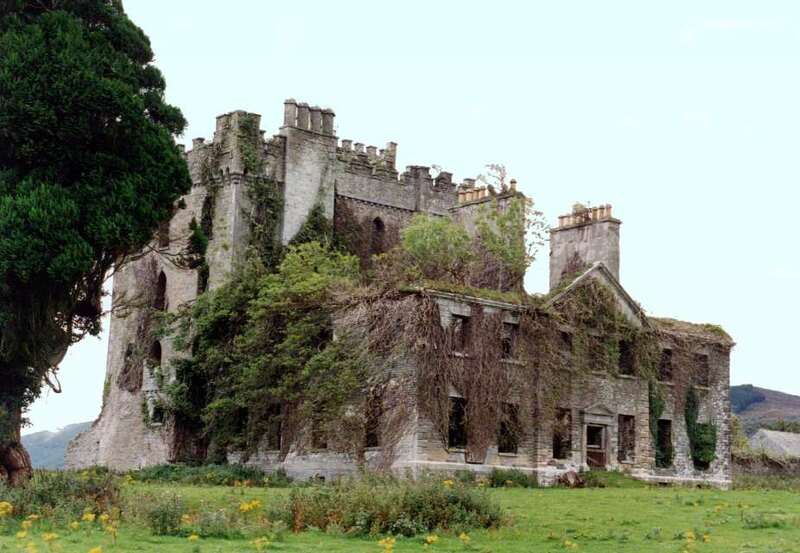 Outside Nenagh, just off the road to Limerick can be found the ruins to Lissen Hall, another family residence, also in ruins, reputedly also burnt down in 1922 by the Sein Fein. At the same date Rapla House, another family house to the north of Nenagh, was aslo burnt by Sinn Fein, who also destroyed all church records of the Church of Ireland (Protestant) churches in the area, making research even more difficult. Click on the thumbnails to see a larger version of the pictures.